Having 10 years of experience in the transport and moving market, Cargo Universel became a valuable partner of all your moving plans. In the continued quest of customer satisfaction, the company devotes attention to ensure quality, with remarkable efficiency based essentially on the expertise in the field for every client it serves. Make it easier! 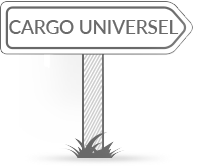 Cargo Universel takes care of your transport.